Thorn is coming back to Destiny, a video game in which players convince themselves that it’s worth spending hours grinding for goddamn calcified fragments just so they can get a stupid emblem. Also in the next expansion, Rise of Iron, which comes out September 20: New types of artifacts! A big light level boost! And custom/private PVP matches, probably. The max light level will be 385, with the cap escalating to 400 once Hard Mode of the raid becomes available. Said crucible design lead Lars Bakken: “Rise of Iron includes the introduction of a long-awaited feature our community has been clamoring for.” Safe to say custom matches are en route? Festival of the Lost is coming back in October, and the Sparrow Racing League will fly once again in December. No word on what’s coming in 2017 before Destiny 2, though. There’s a new Crucible mode called Supremacy (which we’ll see at Gamescom) and what appears to be a new Horde mode called Archon’s Forge. Old strikes Devil’s Lair and The Summoning Pits are revamped and will reappear in Rise of Iron. We won’t steal all of Game Informer’s info, so go check out the magazine if you want more details. 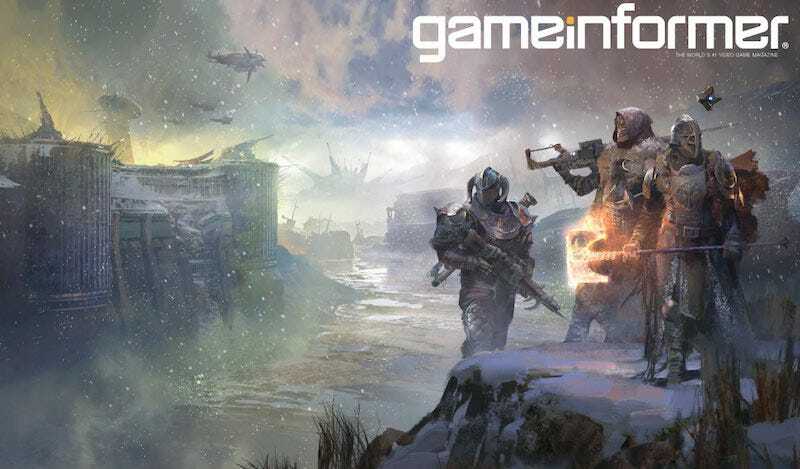 We will, however, be playing the hell out of Rise of Iron when it’s out in September.